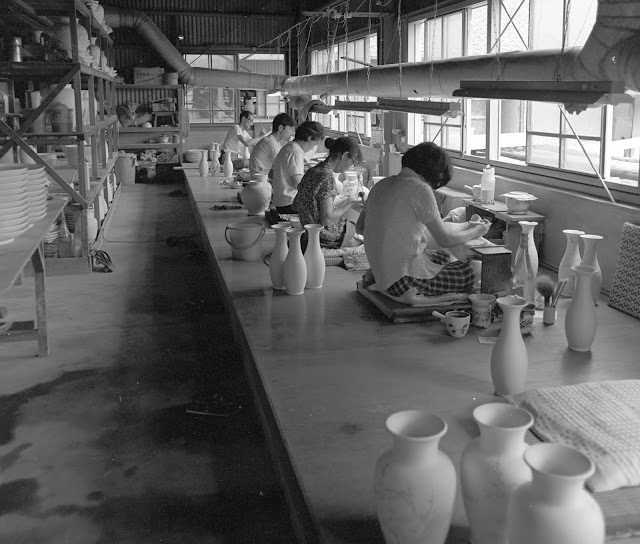 Painting vases in a pottery factory. Late 1960s. Probably taken in Mashiko.